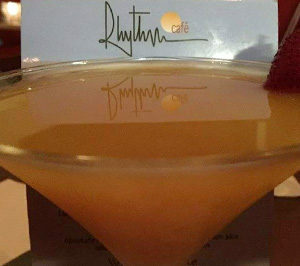 Rhythm Café is a family owned and operated restaurant in downtown Merrimac, serving lunch and dinner in house, as well as a full menu and other prepared foods available for carry-out and drive-through service. A casual restaurant serving home style-gourmet food in a comfy, relaxed and friendly atmosphere, Rhythm Café offers a wide selection of fresh, delicious food as well as an innovative wine list and full bar, affordable for a special occasion or weeknight dinners with the whole family. Rhythm Café is also a terrific choice for take-out, as the entire menu is available for pick-up at the convenient drive-thru window. At Rhythm Café, it is what it is, but it ain’t a bank.